3. Computer that is connected to the internet. 5. You must determine what sim card you want to use for your iPhone is locked. Should prepare one of your main simcard. Install the package SAM (Subscriber Artificial Module) from Cydia. You can install SAM with http://repo.bingner.com/ address. Once SAM is installed, go to Settings> SAM. 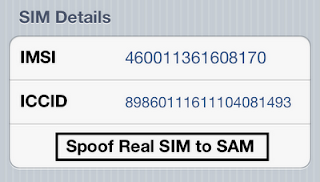 Make sure that the sim card Indonesia is mounted on the iPhone. Go to the Utilities and select "Revert lockdownd to Stock" and "De-Activate iPhone". 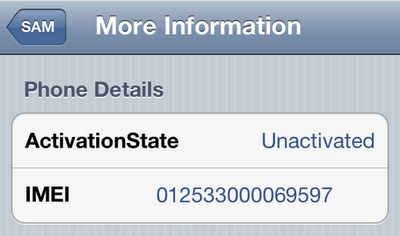 After that ActivationState on Phone Details (More Information) will become "unactivated". Back to the main menu and make sure that SAM SAM is active (Enabled). Open the "Method", and select the "By Country and Carrier", then look for operators that want to use. Back to the main menu SAM, go to "More Information" and copy or record the IMSI number listed on the "SAM Details". The next tap "Spoof Real SIM to SAM". Back to the main menu SAM, go to "Method" and change it to manual. Then paste or type the IMSI numbers you have recorded in the previous step. Connect your iPhone to iTunes and let iTunes do the activation. 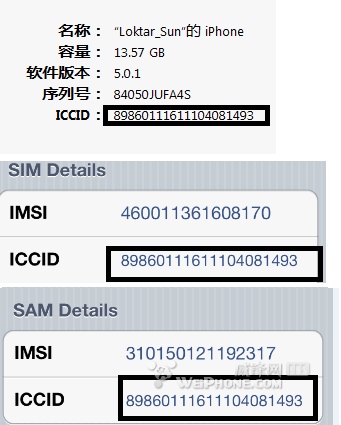 Once your iPhone information has appeared on iTunes, double-click on the words "Phone Number" to display the ICCID. Make sure that the ICCID listed on iTunes as the ICCID that appear on More Information, for example below: If not equal / match, repeat the above steps from the beginning. Unplug the iPhone from the computer and close iTunes. Furthermore disable / turn off the SAM. According to sources, you can just remove the SAM from Cydia but not if you do not delete anything. Reconnect the iPhone to iTunes, will display an error message that your iPhone could not be activated, this is normal. Simply close and reopen iTunes. Note: Your iPhone can only be used with the sim card used at the time to unlock the above process, so you can not fiddle with free simcard. If you want to use another simcard, unlock repeat the process above. 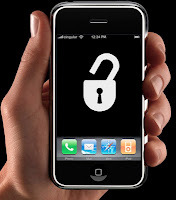 To unlock Apple I-phone,i would suggest the site www.onlinegsmunlock.com here you can get remote unlocking service at reasonable cost and unlock it from service provider lock.It's is best than using unlocking software.Softwares are suitable for professional.They can unlock it easily using software.But remote unlocking service is easy for everyone.